Just north of Route 1 is Viridian City. This small town won't have much to it this early in the game, but it is the home to the final Pokemon Gym you will later need to defeat. However, at the present time, the Gym will be locked and vacant. Jessie and James will first be encountered in Viridian City, but they will simply be blocking the road for now and thus won't officially introduce themselves. 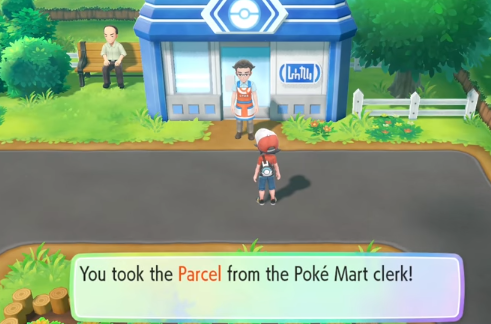 The main goal of Viridian City at this point is to simply collect Oak's Parcel from the PokeMart and bring it back to him in Pallet Town. There are no Wild Pokemon that can be found in Viridian City, nor any Pokemon Battles at this juncture in the game. X Attack, X Defense, X Sp. Atk, X Sp. Def, X Speed, X Accuracy, Dire Hit, Guard Spec. After defeating the Elite Four and starting the Master Trainers Challenge, you will find a number of Master Trainers throughout Viridian City. In total, there will be five Master Trainers to defeat. No discussions open for Pokemon: Lets Go Eevee at the moment.